Come and visit the museum that runs! Only minutes from the Blue Ridge Parkway in Maggie Valley, visitors may see more than 325 classic motorcycles, many of which are operated daily. 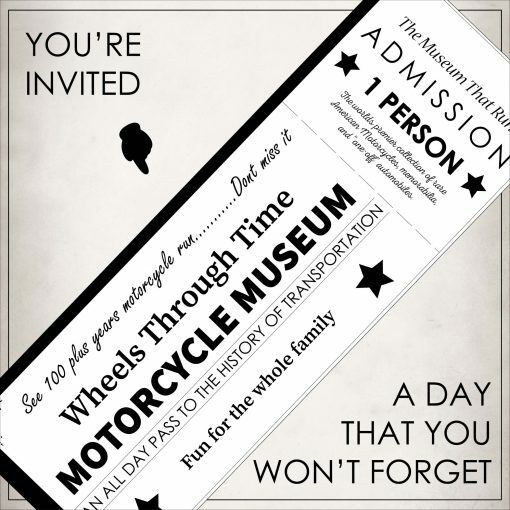 This supremely unique museum also features dozens of motorcycle-related exhibits plus annually holds a motorcycle raffle for a classic motorcycle awarded to one lucky person through a drawing each fall. Wheels Through Time Museum is internationally recognized for its role in preserving and presenting the material and cultural history that motorcycles played in the grand story of America’s love affair with transportation. Upon purchase, a Wheels Through Time Gift Certificate will be mailed to you. 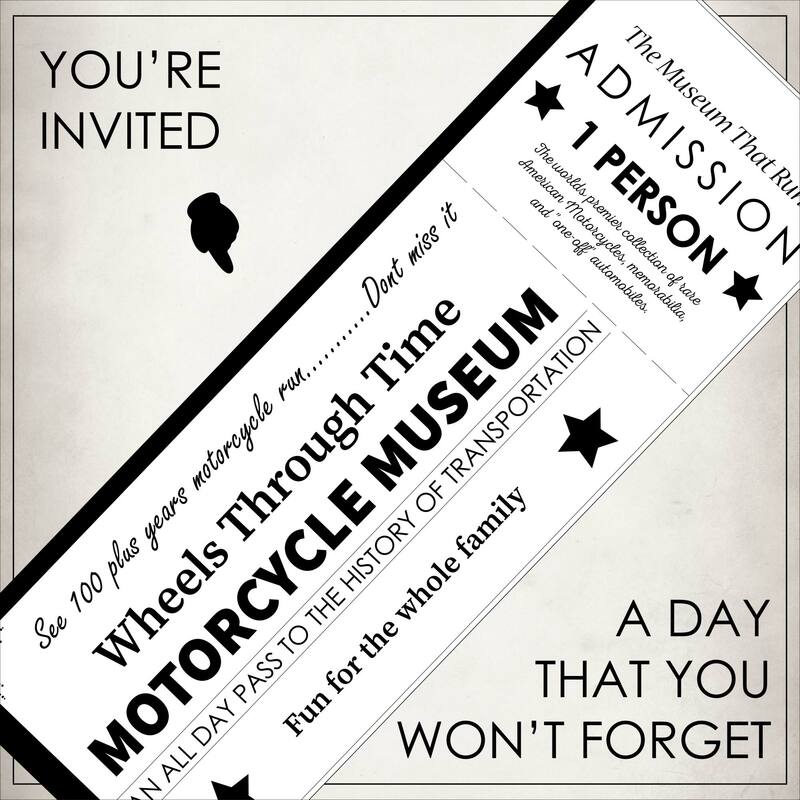 When you are ready, bring your certificate with you and come enjoy a full day at the All-American Motorcycle Museum! *Admission includes the 7% N.C. sales tax.